Fifty years of tenderness, love and a life together, the majority dedicated to the Cala Jóncols family project: a hotel and tourism complex in the middle of nature that provides hours of happiness and relaxation for visitors. The artist Joan Comella has managed to reflect all these elements in his work of art dedicated to Pepe Gómez and Rosario Fernández for their golden wedding anniversary, testifying to this life project in a unique and family-oriented setting. The life of Pepe and Rosario has been dedicated to Cala Jóncols and this dedication to the complex and to their life together is now reflected in the painting on display in the Hotel reception area. 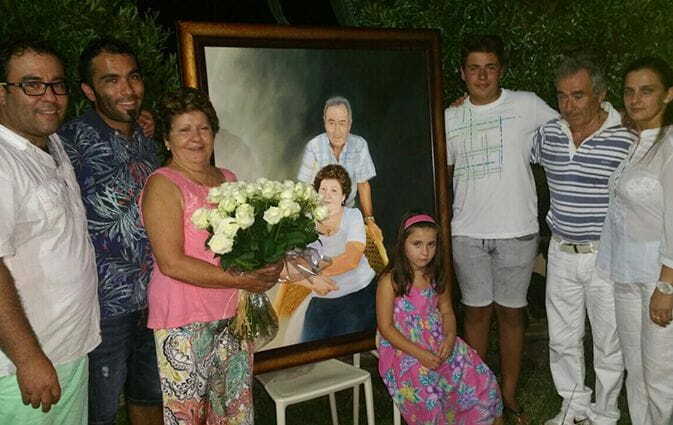 The image of Pepe and Rosario with their children and grandchildren reminds us of all of this!